'Hang on,' says the sharp-eyed reader. 'I recognise that title. They've reviewed this before!' And, dear keen on-looker, you would be right. And also very wrong. That is because earlier in the year we reviewed the Devolo dLAN 550 WiFi Powerline adaptor, which is a very good way of getting a stronger WiFi signal into the parts of your home that suffer from a lack thereof. 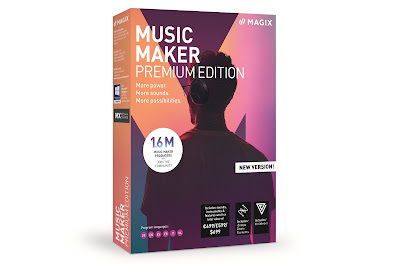 Now, however, Devolo have added a '+', and we find out why. Let's check out the Devolo dLAN 550+ WiFi Powerline Kit. For those who don't know, a powerline kit uses your house's existing electricity cables to transmit the internet. 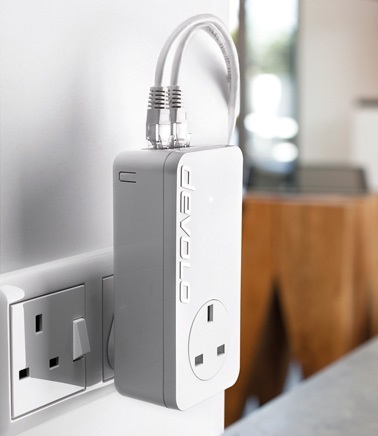 You plug your router into one, plug that into a wall socket, then use a receiver unit to pick up the data from another socket anywhere in your home. 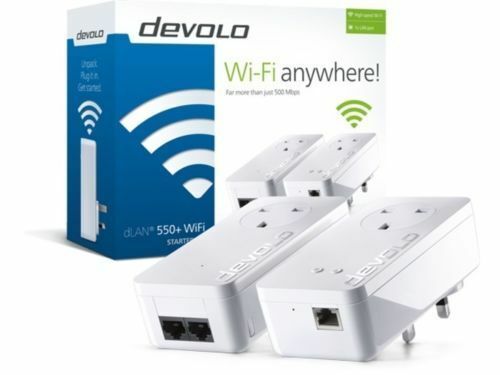 In most cases this is then transmitted over a separate WiFi signal, so you can connect wirelessly with ease in a room that typically has bad WiFi. 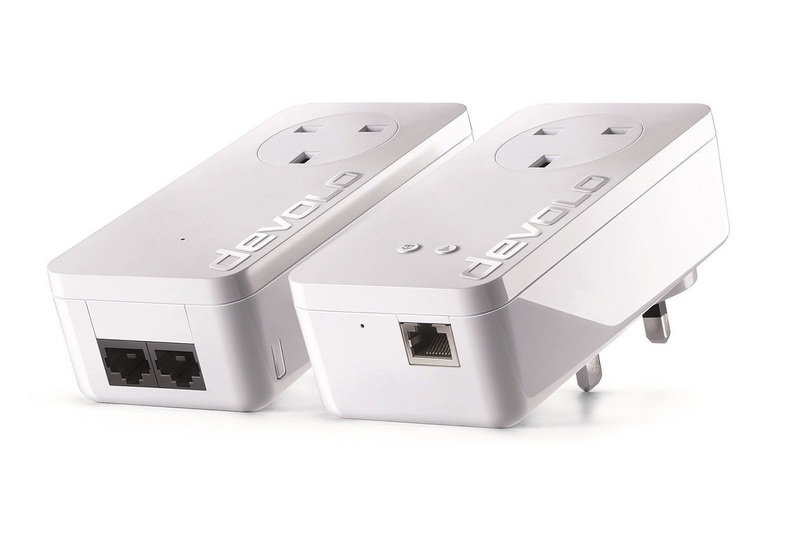 And Devolo's dLAN 550 range of kits do that very well indeed. Seriously, check out our review of the 550 WiFi Powerline adaptor and you'll discover all the benefits of having a system like that in your home. What the 550+ offers on top of all that, is even more convenience for you. That is because both the base unit and the receiver feature a pass-through plug socket, meaning the devices won't take up your vital sockets, letting you plug things into them to receive power. Apart from that, this is essentially the same device as the 550, and will transmit data up to a maximum of 500mbps, although – just like it's +less brother – those speeds are all dependant on your internet service and how far the receiver is placed from the base unit. In use, the 550+ is just as easy to set up as other powerline kits we've reviewed are, using a simply plug 'n' go mentality. The resulting WiFi signal from the receiver unit was strong and reliable, and all our devices connected to which ever was strongest in that particular part of the house. There is no need to chop and change which network your phone connects to, as it is essentially the same network, being broadcast from two different locations. And because of the pass-through plug sockets on each unit, it's almost like they aren't there. This means that if you're placing the receiver high up in your home, in a smaller bedroom that might not have as many plug sockets as a more frequented room, you won't lose the socket. A very handy upgrade.